We’re looking to settle that debate once and for all, with this comprehensive and in-depth matched betting site comparison. We’re fairly confident that it will be the most in-depth comparison on this subject that you’ll find anywhere on the internet in 2019. Read on to find out what we think of the best free matched betting sites and the best paid ones too. There are many other sites out there that are looking to try to break into our lists, but in our opinion there aren’t any other sites that worth mentioning at this time. This is typically due to a lack of unique products or features when compared with the sites listed in this post. We firmly believe these sites are the best matched betting sites of 2019 but please leave a suggestion in the comments if you think you know of a better alternative. We will take a look at every site mentioned although we can’t guarantee we will publish your comment as we get a lot of self-promotion – that’s just the nature of this competitive industry unfortunately! Read on for our more detailed thoughts on each of the sites in our list. We’ve split this post up into two clear sections for you. Firstly, we start with the best paid matched betting sites. These are the sites where you have to pay a small monthly subscription, but profit levels are typically way higher for users than those on the free sites. Oddsmonkey is our number one recommendation; we believe they offer exceptional value-for-money and an all-round top service. We’d say they’re undoubtedly one of the best matched betting sites for beginners thanks to their incredibly simple tutorial guides and videos. They also have a huge range of tools which are incredibly useful for helping you make money, but it’s not just that reason alone that makes this site our favourite. From making the most of football matches, accumulators, horse refunds, games of tennis and more, they seem to have a tool for everything – and we believe more additions are in the works too, so watch out for those! It takes most people just one completed offer (approximately five minutes work) to make back their £17.99 subscription fee – which includes all of their tools and forum access. There’s absolutely no add-on costs with the site, and their service is truly phenomenal. This is why we believe they’re the best. ALSO READ: Our full review of Oddsmonkey. We awarded Oddsmonkey 5 stars out of 5. Profit Accumulator are undoubtedly the biggest competitor for Oddsmonkey when it comes to taking advantage of sports offers. We believe that Oddsmonkey still edge it when it comes to our preferences for betting, but their popularity and demand do make it hard to ignore the appeal that they have. The two giants of the industry have a similar range and standard of tools, and both cover similar offers. For this reason, putting our own preferences and biases to one side, we could not split the two. This means we have given both companies a 5-star review; our only perfectly rated ‘no-risk’ betting sites. ALSO READ: Our full review of ProfitAccumulator. We awarded Profit Accumulator 5 stars out of 5. Whilst this wasn’t the original service in the market, this was the product that really took no-risk betting into the spotlight. With great offers posted every day, Profit Maximiser is a definite contender for the crown of ‘best matched betting site’. Whilst we believe the choices above are stronger for your regular sporting offer needs, we would give Profit Maximiser (PM) a big edge when it comes to making profits on casino offers. If you think you’d prefer to spend your time making money on higher-risk (but also potentially lucrative) slot offers then PM is an obvious choice for you. We’re subscribed to both sites, in order to ensure we have healthy income streams coming from both bookmakers and casinos. 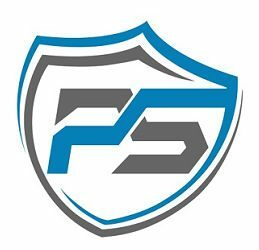 The PM forums are ran through Facebook, so if you prefer to use the social networking site to stay on top of offers and discuss strategies then it’s a really good choice for you. You can trial them for £1 for a fortnight, or purchase the product outright for a year’s access for £99 + VAT. The downside to PM is that the site looks a bit messy and even a bit like a scam – it most definitely is not! You’ll need their other product Bonus Bagging – if you’re brand new to all of this – before moving onto PM. If your priority is making money – rather than just a fancy-looking website – then Profit Maximiser is for you. They do have a range of other products to further enhance your profit-making capabilities from a variety of different sources, although these will cost you extra. ALSO READ: Our full review of Profit Maximiser. We awarded Profit Maximiser 4.6 stars out of 5. Profit Squad is a £15-per-month option. The site is very clean and they have a handy bet tracking feature which means you won’t need a spreadsheet to track your bets – it’s all automated, calculating your profits and monitoring your open bets. ‘Dutching’ is extremely popular on Profit Squad, which is an alternative to our preferred method of backing and laying. They have downloadable dutching calculators which allow you to profit on any offer – even if free bets aren’t available. This strategy is really unique to their site so if you’re looking to do something a bit different then this is what we’d recommend. We can’t reveal too much about their dutching – it’s their main USP and therefore has to be kept top secret! The company have also started to spread much further into high-risk casino, much like PM, so this is an alternative option for those looking to get acquainted with higher risk offers. If you sign up to Profit Squad today through this link then you’ll be able to get full access to their site for 14 days, for just £1. We awarded Profit Squad 4.2 stars out of 5. MatchedBets aims to provide its customers with a personalised service at a fair price. At £15-per-month, or £119, it is the cheapest paid option in this list. Every offer has clear, concise tutorials with plenty of video walkthroughs to guide you through the various types of offers. We really like one aspect of the site which is great for beginners: they offer one-to-one help via live chat which is available between 8am and 8.30pm, something we’ve not seen competitors offering. The forum is also slightly unique when compared to other paid matched betting sites; it is open to anyone that wants to join. This means you can get a feel for the community straight away and also discuss your first offers with other people who are just starting out too. Premium users then get full access to the rest of the forum to talk about offers that are kept secret for paying customers. The developers have designed their tools that work equally as good on mobile as they do on desktop and they have some features which are sure to be appreciated by anyone who spends a fair amount of time doing this. Both the odds matcher and integrated calculator update the odds and liquidity on exchanges in real time with alerts that allow you to apply the change with just one click. It’s a feature that can save a lot of time and frustration over the course of a week. The calculator has nine pre-set options to calculate balanced profits for different types of offers, such as allowing for bonuses paid in cash or free bets. Bet tracking software is integrated into the calculator which means you can log your bets and update profits with a few clicks as you complete each offer – you don’t need to maintain your own spreadsheet because it’s all done for you. Matched Bets isn’t limited to betting offers, it also features casino and bingo offers, concentrating on risk free bonuses and loopholes with the best profit potential. We awarded MatchedBets a rating of 4.2 out of 5. We do not recommend the use of free matched betting sites due to increased risk of being gubbed and the significantly lower profits that are realistically achievable. Because thousands of people will be jumping on exactly the same bets as you, your account will be more likely to be grouped with the other bonus hunters fairly easily by sports traders at the bookies. When using free matched betting sites, our readers found their average profit to be just £300 a month. With paid sites (and the tools they offer) this average rises to over £1,000 a month. This is a £700-per-month difference in profit for a minimal investment in a paid site subscription. For anyone that doesn’t have a brain for maths, this is an annual difference of a whopping £8,120 profit (when using Oddsmonkey on a monthly subscription). This is because of the products and tools that paid services can offer. The Matched Betting Blog is one of the busiest free matched betting sites out there at the moment. They are very effective at posting daily reload offers and teaching the very basics to beginners – much like we try to achieve here on Beating Betting. We would recommend this site to those looking to spend less than one hour a week matched betting, or for those that aren’t interested in making the jump to the bigger money. They do tend to jump on every single low-risk offer that is available to the public each day. This can lead to restrictions being placed on your betting accounts. Remember: It’s dangerous to your account health to constantly exploit offers without ever giving value back to the bookie. You should give value back as much as you can through mug betting. The site are now actually promoting Oddsmonkey on their site too. As far as free matched betting sites go, we’d say this option is great, especially considering it is a one man operation. If we were just looking at free sites here, they would probably be rated 5 stars. However, we have to compare to the paid options and the level of profit that can be achieved with those sites. With all of this in mind, we awarded the Matched Betting Blog 2.5 stars out of 5. We don’t want to repeat ourselves too much, but for mostly the same reasons as above, we don’t recommend Money Saving Expert for prospective matched bettors. If you’re really wanting to seriously make money online then these free sites just will not cut the mustard. This is for the reasons of account health and long-term profits. The tools are just not available on any free site to fully optimise your income and efficiency. If you are comfortable making £100-200 profit every month then this option is fine for you. We awarded the Money Saving Expert matched betting forum 1.5 stars out of 5. Team Profit are arguably the biggest free matched betting service and community and are very popular with the crowd of people that don’t want to invest in a premium service. 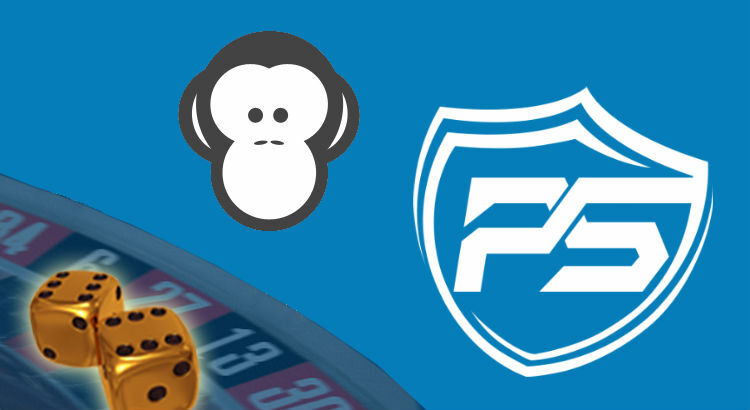 Interestingly, they are another service that recommends Oddsmonkey for those wanting to move from the smaller profits that free guides can offer and move onto the larger profits and higher efficiency that paid services allow for. They are a good choice for those of you looking to start with as little as just £30. However, for all of the reasons already outlined, we do believe that a premium service is essential for those looking to make as much profit as they can and in the most efficient way, too. We rate Team Profit 3 stars out of 5, making it the highest rated free service on this list. Our favourite site in this industry on the sports side of things is Oddsmonkey (sign up here for a free trial). Our favourite site for casino offers is Profit Maximiser (available through this link). You don’t get access to the tools that help you make the real money. All information is entirely public, meaning every bet or offer will likely be placed by tens of thousands of other people at a minimum on exactly the same odds match. It won’t take long for your accounts to get shut down when you’re completing exactly the same offers as thousands of others – at exactly the same time too. Hi, this is an excellent article and you explained the concept very well! Very interesting article and a great help thanks. It’s exactly the reason that I moved from PA to MatchedBet….Notice you don’t have them in your 2017 rankings so thought I’d let you know how great I’m finding them after my experience with PA. I just heard that PA has sold up too – interesting stuff. Thanks for the comment Sean. MatchedBets are in our rankings – did you miss them?! PA have sold up? I’ve not heard that, have you got a source/proof? Hi, yes, you can find arbs within their oddsmatching software. Excellent round-up of the best matched betting paid sites. Hi, did you consider rebelbetting? I am looking at their match betting service. They have a direct link to the betting market that leads to the bookmaker website/exchange, from their software, so it takes less time to place a bet. Actually I don’t know if this feature is available on other apps that are mentioned here? Considered it but their pricing is just so high (monthly fee is close to the annual fee of most sites included here). And yes, that feature is available on all of the paid options in this post I believe. Not true, they have a matched betting software for €9/month. Ah OK, thanks for the clarification Steven. To have spotted that comment within one day, I’d almost think that both you and the other commenter worked for the site…amazing coincidence I’m sure! I am spotting yours comments now, so Luke took a words out of my mouth. So this half price compering the oddsmonkey would mean to me, if the quality of the service is the same…is it possible that you can do review of their service? And one more important question: if these direct links from the apps goes right to the bookmaker when placing the bets, are we then under the radar by the bookmaker/do they know we are using the paid service?? I’ll take a look at the possibility of reviewing them. Direct links to the bookmakers, I imagine, can always be tracked in some ways. Not totally sure.